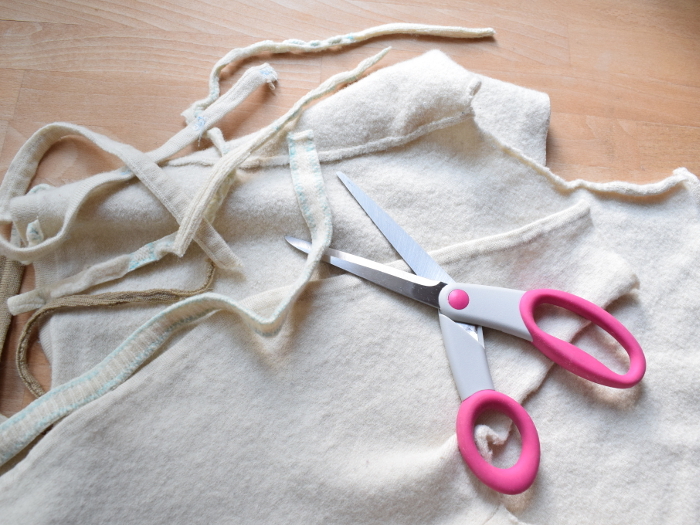 Fulling is a great way to upcycle old wool knitwear by shrinking the wool into felt. 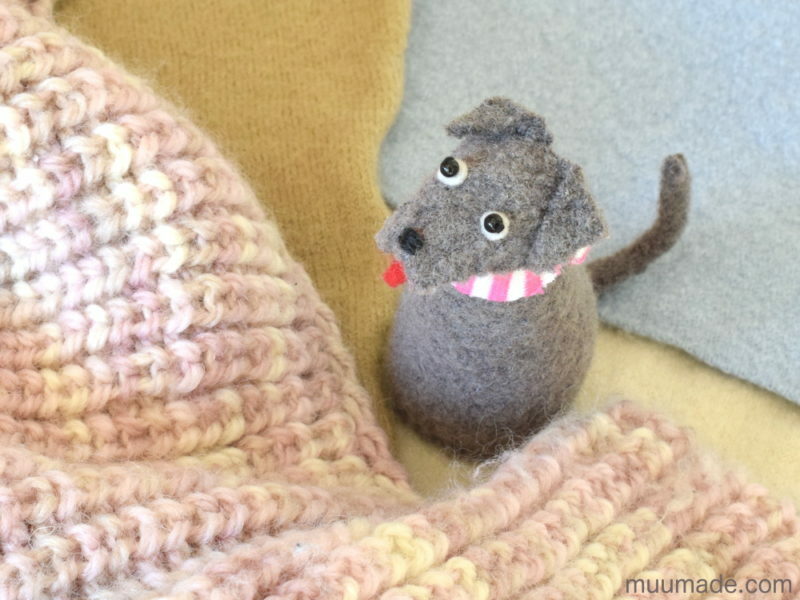 Finished felt has great texture, as you can see in the above image of a fuzzy grey Simply Simple Dog! The thicker the original piece, the chunkier the resulting felt will be. Also, the looser the knit, the more the piece tends to shrink. 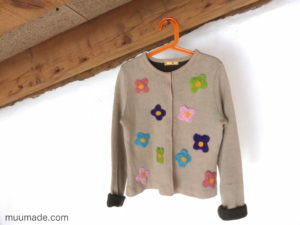 But, most importantly, fulling will only work when the knitwear is 100% wool or mostly wool. 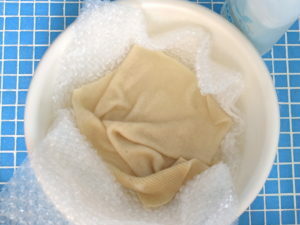 Until now, I have always fulled wool knitwear in a washing machine, but I wanted to try fulling wool by hand because I had read that it gives you better control over how and how much to shrink it. 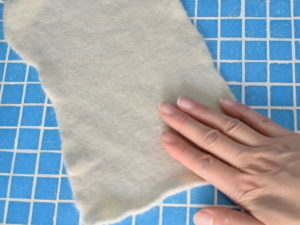 To manually full wool, you need: wool knitwear, hot water, a tiny bit of dish washing soap, a washbasin or sink, and a tool such as a washboard to help agitate the wool. 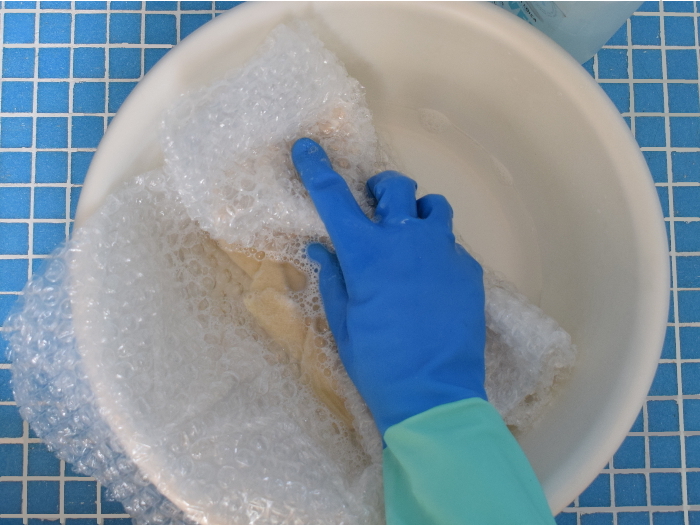 A pair of rubber gloves also helps, especially if you want to use really hot water. Let’s get started! 1. Cut off the seams and edges of the old wool knitwear (here an old sweater), leaving only the flat areas. 2. Fill a washbasin or a sink with a bit of hot water. 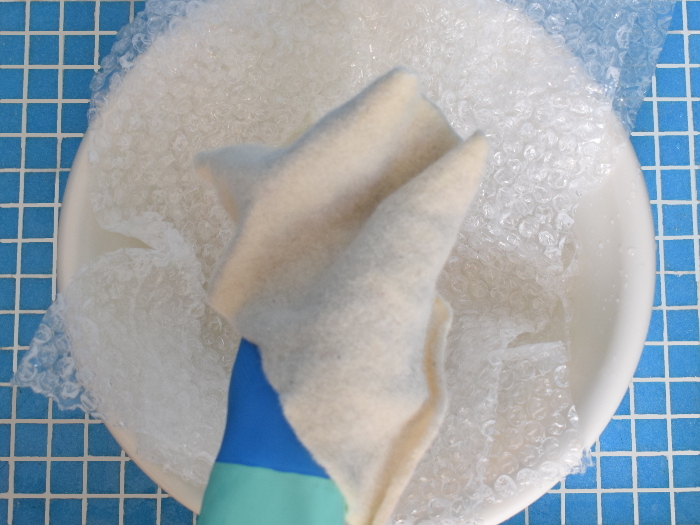 Add a tiny bit of dish washing soap and then a piece of your wool. 3. 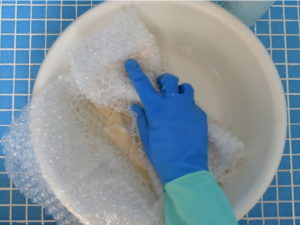 Knead the wool against a washboard, bubble wrap, or whatever else you are using to help agitate the wool fibers. I do not own a washboard, so I used bubble wrap instead (this page suggests it as a good alternative). After giving it a try, I must say that I would have preferred to have a harder surface to rub the wool against than the bubble wrap, but it probably was more effective than rubbing it with only my hands. If you are using bubble wrap, I recommend wrapping the bubble wrap around the wool and kneading it. That way, it insulates your hands from the hot wet wool a bit. 4. Every once in while, wring out the piece to see how much it has shrunk (it is easier to see its progress when not soaked). 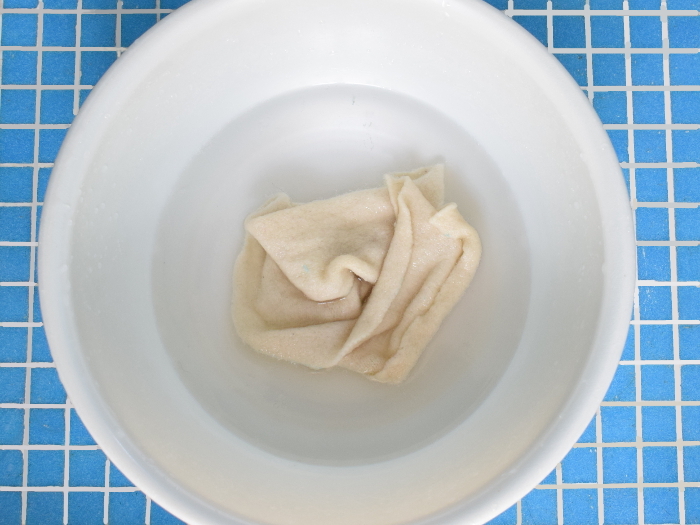 The fulling process can take anywhere from a few minutes to a lot longer, depending on the kind of knitwear, the temperature of the water, how you agitate, and how fulled you want it. 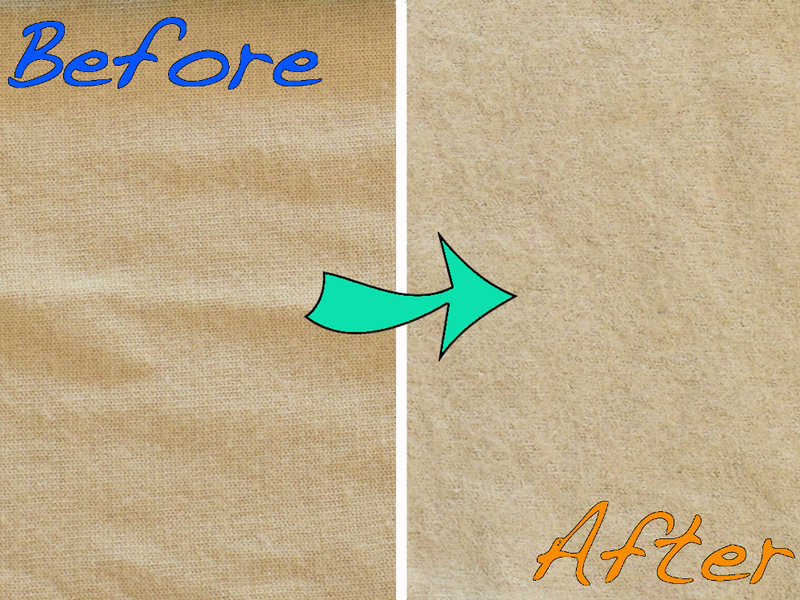 You may not see any difference during the first few minutes, but do not get discouraged. Just keep on going! 5. 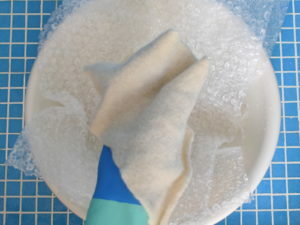 Once you are done fulling, rinse off the soap and quickly soak the felt in cold water. 6. 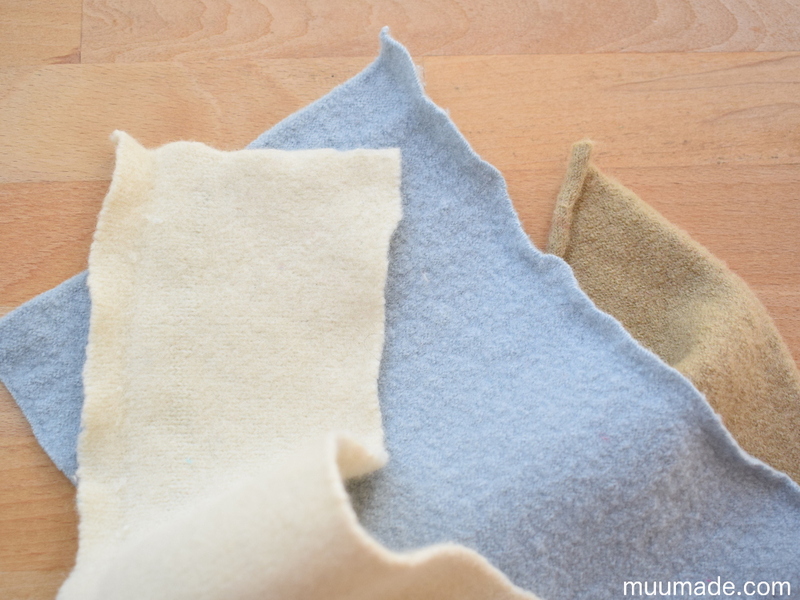 Lastly, wring the piece and lay the finished felt on a clean flat surface to dry. 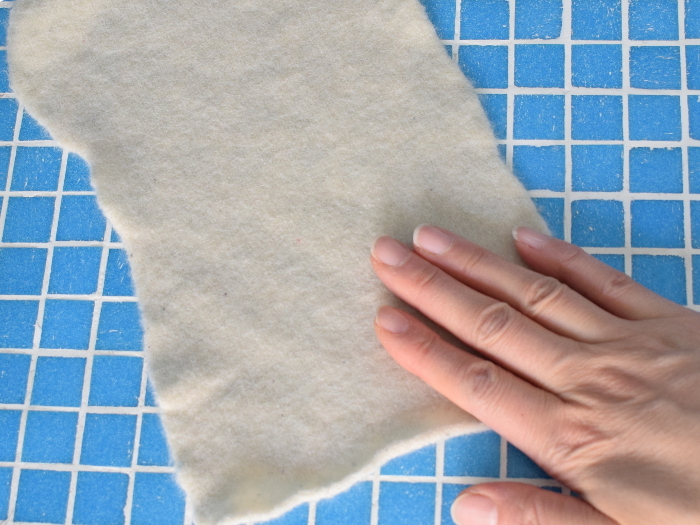 To flatten the felt, pound on the felt with your hand. 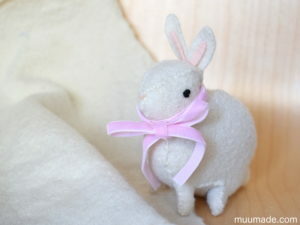 Be careful not to stretch the fulled wool. Now I have some beautifully fulled felt ready for future projects! 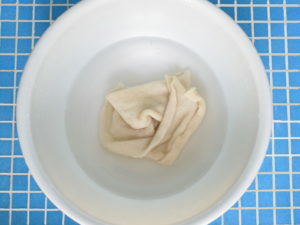 The white wool in the above image had already been shrunk once in a washer, but it was still slightly stretchy. So, I decided to full it further by hand. It shrank by approximately 10% after 5 minutes of manual fulling. Above is a close-up of the brown wool before and after the fulling. The piece shrank by about 22% after being manually fulled for approximately 10 minutes in very hot water. You can see how the wool fibers have bonded with each other and the knit stitches are almost invisible. 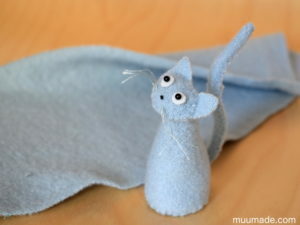 Below are a Simply Simple Cat and a Little Felt Bunny, both of which I made from fulled wool. 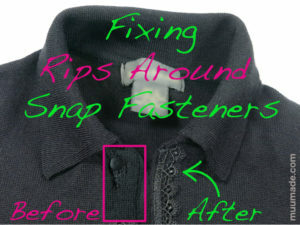 If you are looking for more ways to upcycle old sweaters, here is a link with a variety of ideas.